Deep beneath the fiery red summit of Mount Etna in Sicily, Europe's highest active volcano, more than 250 lava tubes have been explored in a cold, pitch black subterranean world. 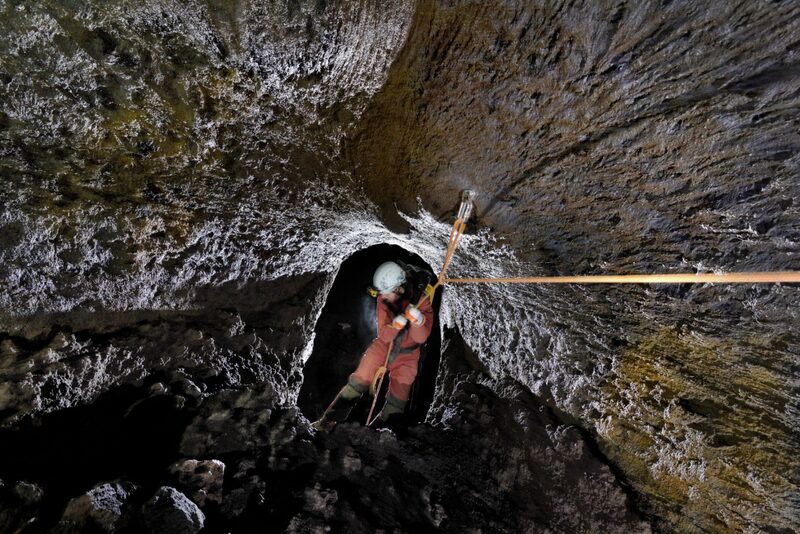 Grotta dei Tre Livelli (Cave of the Three Levels) is a 1150m (3772ft) lava tube located on Etna's southern flank. Here a cave explorer can be seen climbing up a short rope from the lower passage to the middle level passage inside the lava tube.